Saudi Basic Industries Corporation (Sabic), one of the world’s largest diversified petrochemicals companies, has signed deals with nine construction contractors for various industrial projects in the kingdom, said a report. Of these eight contractors - H K Al Sadiq Sons Contracting Company, Sendan International Company, Global Sources for General Contracting, Al Manar Arabian Corp, Jal International Company, Central Gulf Engineering and Technical Sev (Zain Thermal), Abdullah Faleh Al Dossary and Specialized Industrial Services Company - are based in Saudi Arabia, while The Third Chemical Engineering Construction Company of China (TCC) is in the Huainan province of China. The contracts, signed in Jubail, are for Saudi site projects, reported Saudi Gazette. Sabic has a long history of outstanding relationships over the past years with these suppliers and always considered them as partners in the success that it has made in the chemical industry, stated the report, citing senior officials. 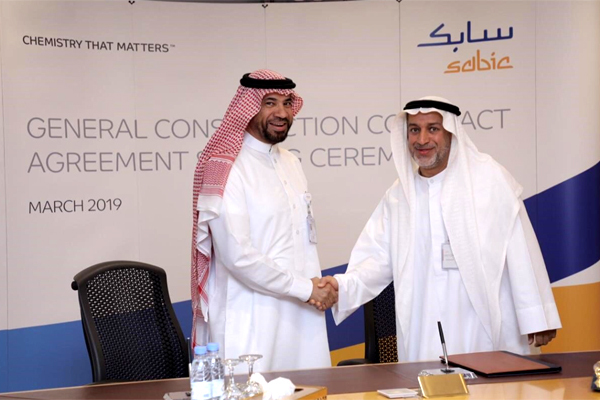 "Sabic is now taking its relationship with them to the next level and commencing new long-term alliances to achieve significant values for the companies, its customers and the kingdom," remarked Engineer Awadh Al Maker, the executive vice president shared services, and Nawaf Al Zahrani, global procurement general manager, of Sabic after signing the deals. Al Maker said the Saudi group was committed to fostering opportunities for the general construction industry aimed at stimulating local content and supporting promising sectors for future growth. "By finding new opportunities for SMEs (emall and medium enterprises), enabling local investors and attracting global investments, Sabic will enhance EHSS cultural operation excellence and provide opportunities for downstream growth across the kingdom," he stated.